Watch the beauty of your photo being fully wrapped around a case. Protective, personalised and just perfect. A case that you've always dreamed of. A unique case for your Note 4! Your personal design will be printed on the entire case. That means not only the back, but also the sides will be printed. This gives your Samsung Galaxy Note 4 a unique look. Use any of your favourite images, patterns or pre-made designs. The case is made of a durable hard plastic which will ensure your phone stays safe from damage. All buttons and access ports are free to use. 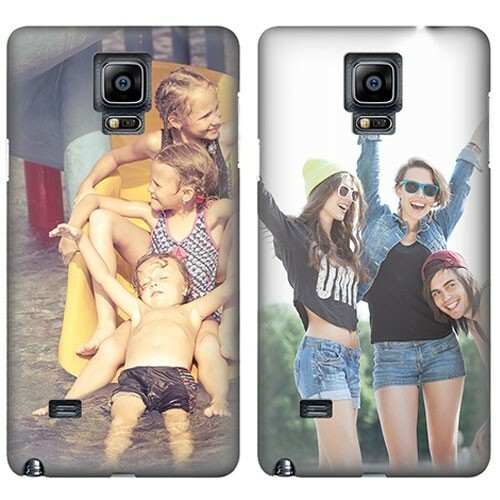 Get started on your personalised case now!